Recently I read that Department of Posts in association with a private company will establish mobile terminals with hand-held devices that have cameras and biometric facilities. These terminals will ease all postal and financial transactions in the rural branch offices. This service aims to improve the quality of service, and thus allow existing Post Office schemes reach the un-banked rural population and achieve “financial inclusion” of the rural masses. The Rural Information and Communication Technology Project is a part of the larger IT modernization project being undertaken by the Department of Posts. 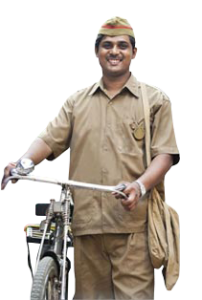 Today India`s postal services is one of the largest networks and most widely distributed networks in the world. The postal service has always been a valuable service through history. 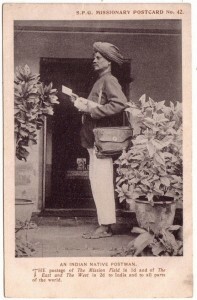 The history of the Indian postal service in various forms stretches back many a centuries. 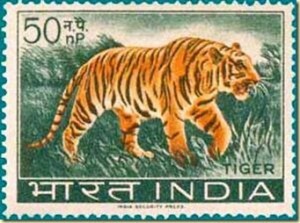 The history of India’s postal system began long before the introduction of postage stamps. Methods for collecting information and revenue data from the provinces and relaying them to the king are mentioned in Chanakya’s Arthashastra. 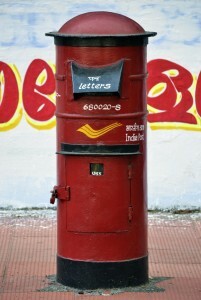 With its advent the East India Company improved the then existing postal systems in India. In the year 1774, Warren Hastings made the postal services available to the general public. During this period, the responsibility for maintaining the official Posts rested with the zamindars. Private dawk mail systems also sprang up for the commercial conveyance of messages using hired runners. East India Company created its own postal infrastructure for the growth and easy working of military and commercial power. The runners were paid according to the distance they travelled and the weight of their letters. Carrying the mail was dangerous work as routes crossed parts infested by wild animals, floods or bandits but the post was usually on time. Moreover work of Posts was carrying messages but in some cases it was a matter of life and livelihood. 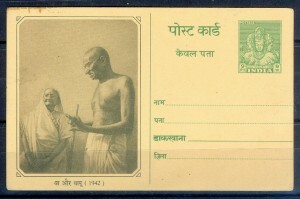 In those times money transfer was another very important function with the Posts. This included the earnings of working and labour classes living away from their homes for better opportunities. The daily dal-roti of their families was dependent on these money transfers through posts. This work of the Indian post has been truly praiseworthy. 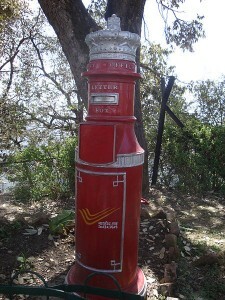 Today the Indian postal service provides many services such as small savings schemes, other banking and financial services to far off and difficult to reach places. The Indian Postal Service has around 155,000 post offices, of which around 140,000 are in villages and around 16,000 are in cities. The network has grown seven-fold since Independence, mainly in rural areas. As mentioned earlier it has been reported that the digitalization of 130,000 post offices in rural India would be undertaken. This project will first will be launched at three pilot circles in Uttar Pradesh, Bihar and Rajasthan. The 130,000 hand-held devices mentioned earlier will feature under this project and will be made available across rural branch offices by March 2017. Booking and delivery of Speed Post, registered mail, money orders, sale of stamps and postal stationary will be done through these devices and paper receipts will be generated instantly. It is really wonderful to see that the Indian Posts is transforming itself to keep abreast with the times and is reinventing itself. I hope the Indian Posts will still continue to provide good support mainly to the masses of rural India also in the times to come.